DigiKam is one of the best Linux photo software and it just recently got a new release after two seemingly never-ending years. The latest version, version 5.0, brings a series of new features with a re-engineered code in Qt 5 to the table. digiKam is an advanced, open source digital photo management software which is available for Windows, Linux, and Mac OS X. If you own a DSLR (maybe you’re a photographer) and you want to view, manage, enhance, organize, tag, edit and share photos under Linux systems then digiKam is most likely the best choice out there. digiKam is ultimately a KDE application and that’s the reason for its heavy dependence on KDE up until now. By rewriting the code in Qt 5, the digiKam team has gotten rid of 80% of KDE dependencies – this re-engineering must have been a daunting task. digiKam plans on introducing a shorter release cycle with this new major release which implies that there will be no more lng years of waiting to get new features, which is good news for digiKam users. You might not visualize most of the changes because they are in the code. However, you can feel the changes as you use it. The PPA above is available for Ubuntu 16.04 and 15.10 versions only. digiKam being around the size of 400MB is a big application, but once it is installed you can search and find digiKam to start it. On first run it will ask you to choose from a number of configuration options but there is no need to be fear, it’s pretty straight forward. 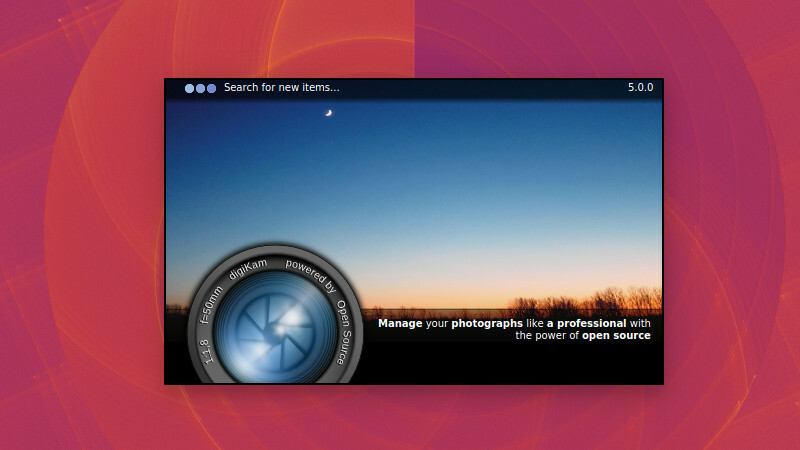 Have you tried installing digiKam 5 in Ubuntu or Linux Mint? Do you like it? Do you use digiKam or some other photo management software in Linux? Let us know inn the comments section.